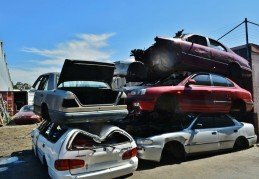 Galaxy Car Removals are experienced Car Removal company based in SYDNEY, New South Wales (NSW) specialised in scrap metal recycling and are a part of Zoom Car Removal Sydney. 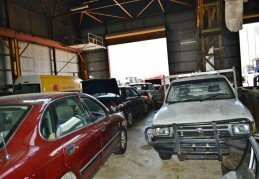 Galaxy Car Removals is one of the leading auto wreckers and recyclers in Sydney. Our services are quite different from other Car Removal servicing companies. We offer you the top price that you can earn through few simple steps. Galaxy Car Removals Sydney has been specialised in Old Car Removals, recycling of old cars and general scrap metal recycling. Our reputed service is well known for its quality among our customers all around Sydney. We have been servicing for so many years now and have been expertise in dealing with these scrap vehicles. Galaxy Car Removals would be the best option that you can approach for your Car Removal. You can’t get a much better buy for your auto of any make and condition than Galaxy Car Removal. We are a cash buyer that pays cash without taking up half of your day for you to our cash offer amount in your hands. We make quick cash quotes over the phone and here through our web page. There’s never any pressure to accept our offer, nor is there any obligation. If you accept, we’ll then schedule a time for your auto collection. Any Make, Any Condition – We Pay Cash For Cars in Sydney! Our Car Removals are always scheduled at times that are convenient for our customers. With a team of drivers located throughout Sydney, we can be at your location within hours of making our cash offer to put the cash in your hands and remove your vehicle. At Galaxy Car Removal, we are your CASH FOR CARS and FREE CAR REMOVAL company that allows you to get your car SOLD today for cash! Running or not, we’ll buy it! 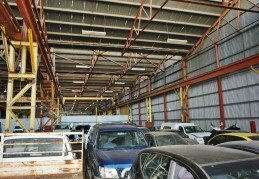 Galaxy Car Removal is the auto wrecker in Sydney that recycles vehicles to put cash back in our customers’ hands. Our eco-friendly auto wrecking means the most out of your vehicle. Just give us a call and we’ll put the green in your hands. When you choose Galaxy Car Removal you not only have an instant cash buyer for your vehicle, you also have one that offers the most outstanding services. • Get a Quote on Your Unwanted Car Instantly! • Get Cash for Your Car! • Get a Free Car Removal! We are your Car Removal company that is your best choice for a cash sale on your unwanted auto. Cash paid for any car or truck, in any condition. Rusted Out? We’ll Clear it out! Incomplete or Damaged? Just the way we like them! Scrap Your Car FREE – it’s easy, fast and free! 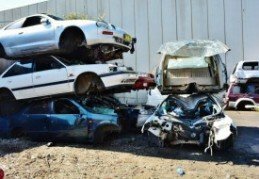 Give us a call and we are on our way to move away your wrecked, unwanted, used/unused, damaged and scrap vehicles, Free Car Removals, Wrecked Cars, Cash For Cars, throughout Sydney Metro areas. We help you get rid of your Unwanted Car totally for free.